As part of Antilles School’s philosophy of educating the whole child, our curricular offerings include many support services to create more opportunities for success in a college preparatory program. 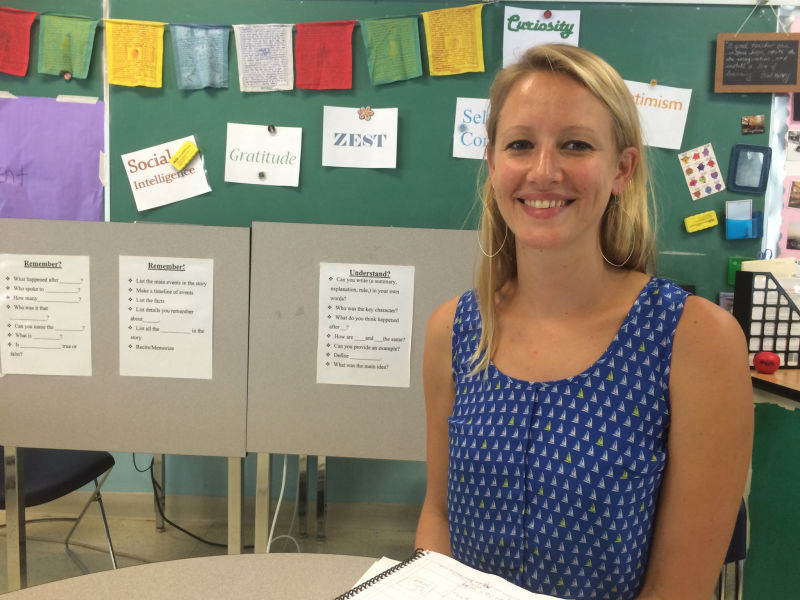 ntilles has two full-time school counselors. In the ELC and Lower School the counselor works with the Head of the ELC/Lower School, classroom teachers and the resource teachers to address student needs and develop individual plans where necessary. In the Middle and Upper Schools, the counselor offers academic guidance, personal counseling, and career and college counseling, in collaboration with the Director of College Counseling. The counselors provide grade-level parent meeting and are available for individual and group support when students are experiencing social or emotional issues interfering with academic success. ntilles employs a full-time registered nurse, located centrally on campus. The nurse is on duty during the school day to meet the health care needs of students and staff. In addition to immediate emergency care, the school nurse does hearing, vision, and other basic health screenings, and works with parents and health care providers to support children with chronic conditions. Beyond the nurse’s office, students, faculty and parents are provided information about health issues. f a parent or teachers determines that a student needs tutoring to support his/her academic success, Antilles has two designated Resource staff members who recommend available teachers and/or free peer tutors who match the student’s needs. he Resource Program is designed to assist those students who exhibit the ability to be successful in a college preparatory program but may have some learning challenges that can be managed or overcome through a support program that includes: academic coaching, tutoring and remediation, and social and emotional support. Our teachers are available to students outside of the classroom for additional support. Each school day, teachers are in their classrooms for academic assistance from 3:00 to 3:20. If a student is experiencing more general academic difficulties and needs coaching in organization, time management, reading efficiency, problem-solving strategies, or learning differences, Antilles has a Resource Teacher to offer and coordinate additional services. Academic Strategies empowers students with learning resources and insight into their own learning styles, coupled with proven strategies to maximize learning experiences and improve academic performance. Teachers assist and encourage students with identified learning differences, supporting their acquisition of selected academic strategies and selected study skills to become more competent and confident. Academic Strategies provides parents with information about their child’s unique learning differences, explaining strategies and study skills they can employ at home to support their child’s affective and cognitive growth. Learning Resources, along with the Student Support Team (SST), shares research findings about the causes and issues associated learning disabilities and learning differences, promoting dialogue, perception, and appreciation of the range of developmental differences of middle and upper school students and the factors that affect students’ learning. The program also provides faculty with information on learning processes, “best” practices for effective classroom management, and instruction that can help students succeed socially, emotionally, and academically. As a part of the process, students and faculty reflect to evaluate the effectiveness of planned interventions. The program features inclusion, stand-alone academic strategies classes, a summer academy, counseling, and after school tutoring. Each middle and upper school student is guided by an adult advocate who serves as her/his advisor. Advisors become well-acquainted with each student (advisee), encouraging each child’s social, emotional, physical, and academic development with structures and strategies based in part on the work of Developmental Designs. Advisors are readily available to students, beginning each day together in morning meeting, class meeting, or advisory team meeting. esource teachers integrate themselves into classroom activities, identifying and assessing learning differences and the progress of individual students as the curriculum progresses. They provide strategies and interventions while working closely with the classroom teacher as well as within small groups within the Resource room. pen to all middle and upper school students, the writing lab is supervised by a member of the Literature and Language Arts department, and supported by upper classmen offering assistance to their peers on writing projects.